At this stage, it’s all about self-belief. She’s done the training, she’s committed to the run, but she still has to believe she can do it. 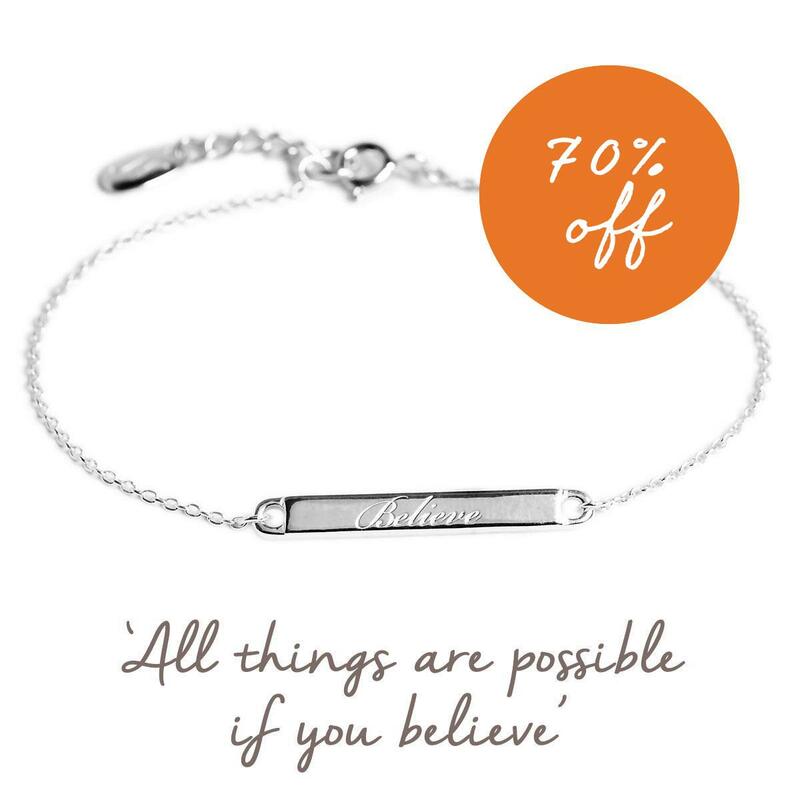 A well-timed gift of a ‘Believe’ bracelet in the few days before the run will show her you believe in her too. It’s very easy to not enter marathons. It’s easy to think it’s not for you, it’s for someone else. But achieving difficult, challenging or great things is within us all, so this mantra is a timely reminder that your friend has decided to go for it – to be the best version of herself. In years to come, the Lotus will act as a reminder to her that she did it, she was the best version of herself – and always can be,..
Booking her a spa session or giving her vouchers for a favourite spa, that she can use a few weeks after the event, will be a very welcome gift. Her body has gone through hell, and she might have endured painful sports massages or physio appointments. So a pampering session to thank her body will be highly appreciated, once she has recovered from the run. Just don’t book a pedicure, in case she has lost toenails…. Chances are, she has cut out alcohol for a good few weeks leading up to the run. But she can take a break now that she has completed it – so celebrate together with a bottle of bubbly, or plan a night out somewhere special. She deserves it!